Association of Marine Underwriters of San Francisco - Established in 1885, in order to promote harmony, fellowship and professionalism in the ocean marine insurance industry, the discussion of topics of interest to the profession, and consideration of subjects as may be brought before The Association. Standard Steamship Owners' Protection and Indemnity Association Ltd.
Standard Steamship Owners' Protection and Indemnity Association (Bermuda) Ltd. A.M. Best Worldwide Insurance Directory - Use this directory to search for company address, contact and group information or go to ratings search, to view Best's Company Ratings and Best's Insurer Profiles. American Institute of Marine Underwriters - Trade association representing ocean marine insurers in the U.S. Corporate members of AIMU provide all types of insurance coverage including: pollution liability insurance and insurance or reinsurance for all types of vessels from yachts to drilling rigs, tugs and barges, supertankers or containerships and the cargoes they carry. Canadian Board of Marine Underwriters (CBMU) - Representing the goals and interest of the marine insurance industry in Canada. Cargo Insurance - A site designed for all cargo insurance needs underwritten by Lloyd's Underwriters. Circuit Court Admiralty Cases: Marine Insurance - Digests and case links to Circuit Court Admiralty Cases that have as an issue marine insurance. ClaimsPages - Features over a thousand links including articles, telephone searches, mapping links, employment sites, automotive sites, fraud information, weather links, insurance news, insurance publications and more. English Marine Insurance Act 1906 - English statute - highly influential, and selected as applicable law by the Institute Cargo Clauses, (the minimum cover of which is in turn selected by default if nothing else is agreed by INCOTERMS 1990 CIF and CIP these being the only INCOTERMS which impose upon the seller an insurance obligation. Institute Marine Cargo Clauses - A, B, C, War, and Strikes Clauses (London, 1982) standard terms of insurance. Subject to English law - by choice of law clause. International Salvage Union (ISU) - ISU member companies provide essential services for the world's maritime and insurance communities. Members are engaged in marine casualty response, pollution defence, wreck removal, cargo recovery, towage and related activities. Lloyd's Standard Form of Salvage Agreement (Lloyd's Open Form) - This is to be signed by a person acting on behalf of the owners of property to be salved (usually the master of the vessel) and a person acting on behalf of the contractors. Longshore Claims Association (LCA) - A resource for the maritime claims community concerning policy and administration of various Federal Workers' Compensation Acts, the Jones Act and General Maritime laws, the LCA disseminates information regarding the statutory, regulatory and judicial changes to these laws. Longshore Institute - A leading source of information and publications concerning the U.S. Longshore & Harbor Workers' Compensation Act and its extensions, viz., Defense Base Act, Outer Continental Shelf Lands Act, Nonappropriated Fund Instrumentalities Act, and the War Hazards Act. The Institute presents complete and detailed seminars covering all aspects of the Longshore & Harbor Workers' Compensation Act and its extensions; additionally the Institute provides consulting, personalized training and seminars as well as the only full range of longshore publications. Seminars are designed specifically for attorneys and insurance professionals who must deal with a broad range of cases that define and shape the Longshore Act. Marine Insurance Act 1906 - English statute. 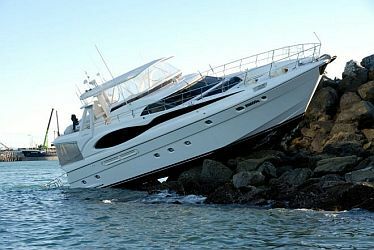 Codied the law relating to marine insurance. Marine Insurance Seminar-Houston - Marine insurance annual conference. Speeches and presentations. MaritimeSecurity - Informational resource to assist mariners in planning for potential security problems that may exist within their navigational routes. Marine security and piracy information for mariners. Northwest Longshore Administrators Association (NWLAA) - Promotes conservative administration of workers compensation under the Longshore and Harbor Workers Compensation Act. Provides opportunities for members to discuss the many questions arising under workers' compensation laws, and trends in the law affecting the processing of maritime claims. PropertyCasualty360 - Covering the business of loss. Statutory Ocean Marine and Pleasure Craft Exemptions - A table summarizing each states' exemptions provided by the American Institute of Marine Underwriters (AIMU). Transport Information Service (TIS) - From the German Insurance Association (GDV e.V.). Provides users with specialist information from German marine underwriters on various aspects of the transport sector. Waltons & Morse - Specialists in shipping, marine insurance and transit law. 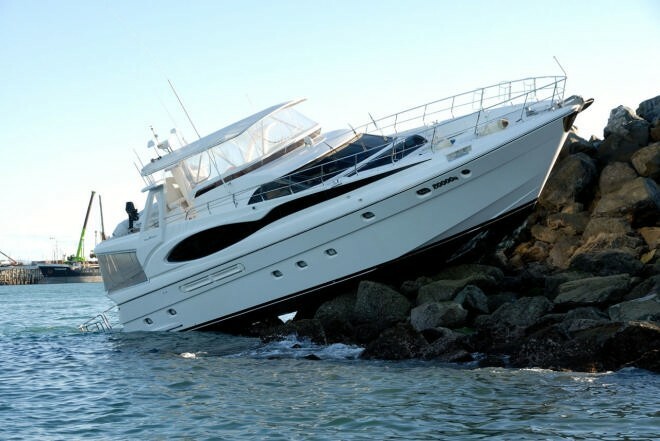 Warranties in Marine Insurance - A backgrounder provided by Christopher J. Giaschi. This webpage last updated on Saturday, August 27, 2016 3:33 AM.